The topic of how bad SEO can be for your business’s website is so broad, we could probably start a regular recurring feature here about it. Come to think of it, we’ve written about businesses being Suckered by an SEO Company, why SEO should be a much lower priority than a Marketing Strategy for Your Business, and How SEO Hasn’t Changed for businesses who have one (a content marketing strategy, that is) and (if that’s you), Why You Don’t Need to Worry About Google’s Hummingbird Update. So, I guess it is something of a recurring feature around here. What Do I Mean by SEO? SEO can refer to the individual (“Mike is an SEO”) or company (“Dewey, Cheatem & Howe is an SEO”) you might hire to elevate your search rankings. So, with your business website, you might use SEO strategies to help improve your rankings and traffic, or you might hire an SEO. Either way, it could be a mistake. Wait, Don’t You TEACH SEO to Business Owners & Marketing People? Since approximately 2006, we’ve trained business owners and small business teams to leverage the web to deliver valuable content and thereby achieve better results when it comes to search engine rankings and strategies. So… if that’s what you mean, then yes we do. On the other hand, I’ve personally long believed that most of the techniques I’m about to mention were a bad idea. And most SEOs sell these services as their bread and butter. So, in our training, we’ve consistently taught (and demonstrated) strategies and techniques that will get you long-term winning search results with a completely different (safe) approach. Thus the “love/hate relationship” I mentioned earlier. But no, you don’t need to try to “game” Google into showing your site above your competitor’s site. Today, Neil Patel published a post called “5 SEO Techniques You Should Stop Using Immediately.” It’s solid content (as usual) from Neil, and it got me thinking about why we’ve consistently advised our clients against tactics that even felt like they were aimed at “gaming” Google’s results. Quantity of Links Over Quality <– he’s referring to inbound links here. It’s worth taking your time to read his post, but I’ll just add a couple of comments here based upon our own experience helping hundreds of small businesses get better results online. With respect to “Spammy Guest Blogging,” we actually tested this early on. We built a website especially for people who went through our training so that they could learn WordPress (the tool every small business needs to be using on the web) and publish some of their best content on it. We took that site down a long time ago. Here’s why we took it down. First of all, we realized that it had absolutely no rhyme or reason to it. You might have seen a post about a jewelry store right below one about an optometrist, which was below one about different types of stanchions, which was below one about wholesale picture frames. The only thing remotely cohesive about the site was that I knew all of the authors. So… the site had no “theme” that Google could identify. At first, this wasn’t a problem. In fact, the posts (and the links) were really helpful—both because they gave our students and clients a chance to showcase their work to one another and because the site itself passed some benefit to their individual websites via the links. However, over time, Google has gotten better and better about identifying efforts like this when they seem to be aimed at manipulating their search results. So we took it down. The training benefit can be achieved other ways. There’s plenty of discussion on the site he linked to there, but you can find more in his Google+ post on this same topic. Every effort at publishing content and “getting links” must be passed through this simple filter: Does it deliver value to our target audience? If not, don’t do it. Period. Ultimately, the posts about stanchions and picture frames and optometry didn’t serve our market. The experience gained was valuable, yes. But as I mentioned, that can be done other ways. Ultimately, the content and links only benefited our students (at least at first) and us—not the target audience. So down came the site. Creating links has long been the “low hanging fruit” for SEOs. Some of them literally did nothing else for clients other than place links to their websites. And we have always advised against doing this, except in very narrow cases. Links have always been important for websites. My hunch is that they always will be… as long as Google rules the world, anyway. Larry and Sergey built their business, its early patents, and the world’s most valuable search engine around their doctoral thesis… which introduced the idea of “PageRank”… which used links as its primary signal for determining relevance and quality. But of course, as Google grew to take over the search market, this launched the game that I often compare to the radar/radar detector business. The cops use radar to catch speeders. Speeders get better radar detectors. And so on. Spammers & SEOs learned how Google’s algorithm worked. Google got better at detecting them. Then the cycle repeated. It still repeats today, but one thing has not changed. Google (and every other search engine) has one simple goal: provide the searcher with the most relevant, highest quality search results possible. 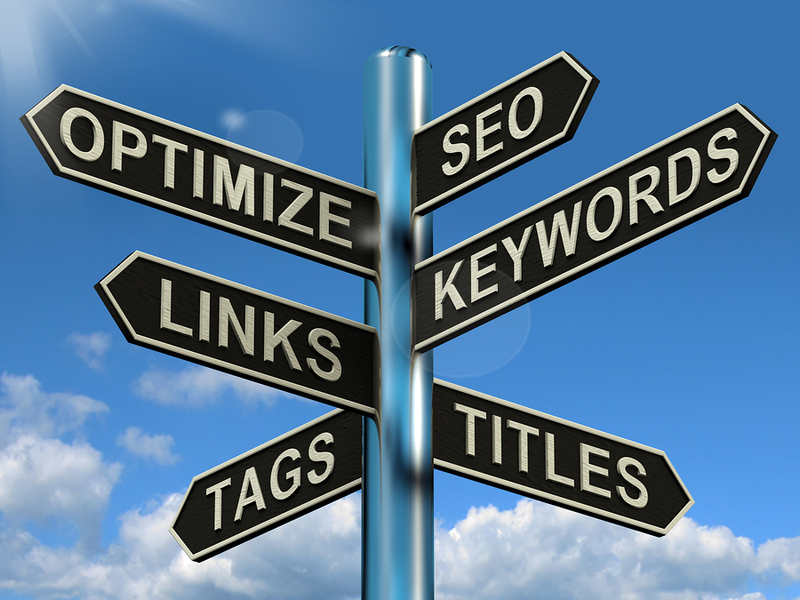 Thus, every search engine will reward sites that provide valuable, relevant content to the right audiences. I have long insisted that ranking for rankings sake does not ultimately server a business’s purposes well. Rankings that put their websites in front of their best customers do serve their purposes well. After all, why get a ton of traffic from people who never should or never will buy from you? So…. we’ve trained our students (and helped our clients) obtain valuable links. But we’ve done this organically. And often, the links came because our clients created valuable content that other sites wanted to link to… which means that they are exactly the kinds of sites (and links) that Google has always wanted to reward. Can you overdo the links? Yep. And you can overdo the anchor text. Some links should have anchor text. Brand anchor text is virtually always good. But ultimately anchor text should “look right” to the reader when they see it. Google hasn’t always been able to detect it when this wasn’t the case. They still can’t nail it every time. But they’ve been getting better and better at it all along. The same thing is true with “keywords” in your content. The keywords need to be there. But they need to be there because they make sense to a reader. And sure—writers can improve the way that they make use of keywords (most need some training along these lines), but at the end of the day, if keywords are used too often, the content doesn’t “feel” right to the reader. So… if you’re doing any of these things too much (and if you have to stop and ask yourself, you actually just might be! ), stop it. Instead, invest that money (or time & energy) in creating content that delivers value. You’ll win every time.